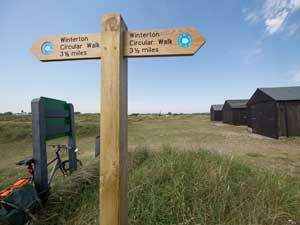 Tourist Information Centre Walk 46 at Winterton Mill Farm01493 846346work Walking RouteWinterton Mill Farm Walk is a 2.8 mile (4.5 kilometre) circular walk starting at the Fisherman's Return public house in Winterton-on-Sea. A pleasant countryside walk taking you past some of the fascinating heritage of this village including the wind turbines and the beautiful remains of St. Mary's Church which dates back to the 13th century. Why not end your walk with a pub lunch at the Fisherman's Return which has an excellent reputation for their food. 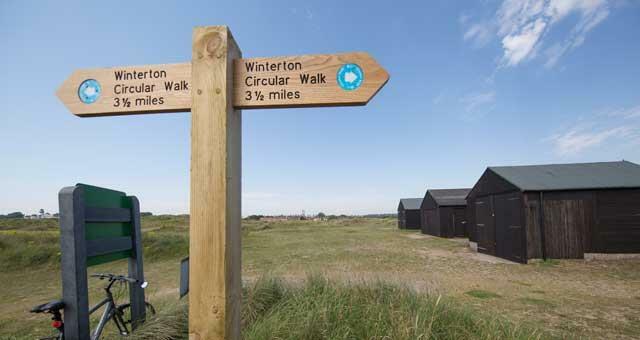 Winterton Mill Farm Walk is a 2.8 mile (4.5 kilometre) circular walk starting at the Fisherman's Return public house in Winterton-on-Sea.